What is Pressure Vessels Or Tank ? Pressure Vessels are used to store the fluid e.g. Air, Water, steam under the pressure. For some project design of pressure vessel is very important because of safety , avoid bursting. Day to day life you might have seen many types of tanks. This all tanks are designed on the basis of Internal fluid pressure required. So, main design criteria is Internal Pressure. There are some other conditions which could affect on design like External pressure, any extra outlets ,gauges ,type of weld joints and type of material used. Design Tips For Pressure Vessel Or Tank. Firstly, decide the Internal pressure of air required for your project in bar or psi. If total storage volume is known or required then decide the value of volume, On volume the total length of vessel is depended. 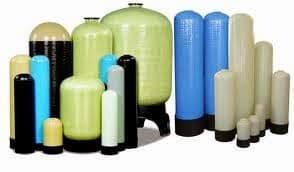 Pressure Vessels are mainly classified in two types thick and thin cylinder. Designing Pressure Vessels means you have to find the thickness of the pressure vessel. Generally thin tanks are preferred for storage of air. Shell : A Shell is cylindrical in shape and have dimensions according to internal pressure and total volume of air that need to be stored. Shell thickness is found out by using thickness formulas. Pressure Vessel also classified as Open type or Close type. End Closures are used at the end of shell to close the both ends of shell. Types of pressure vessel’s end closures are- Hemisperical head, Semi-ellipsoidal head, torisherical head, Conical head or plate type head . Mostly used head is Hemisperical head and plate type. Shell and End Closures are welded by using Single lap weld. According to welding joint the weld joint efficiency is selected. Pressure vessels are mounted either vertically or Horizontally by using supports. Supports are those which hold the pressure vessel on the floor and takes external load acting on tank such as wind load, Bending load and seismic load. For Horizontal Pressure- Saddle support or ring supports are used. For Vertical Pressure vessel -Lug Support, bracket supports are used. Alloy steel, plain Carbon steel these are commonly materials used for vessel but you can find more specific stranded material on ASME Website. Failure of pressure vessel (vessel will burst) if ultimate tensile stress of material is less that longitudinal stress and Hoop stresses. Opening is needed to fix the pressure gauges, Inlet Pipes and outlet Pipes. Some nut bolts or flanges, gaskets are used to attach the accessories to tank. Many pressure vessel has Safety Valve for safety purpose. Pressure Vessels should be designed for gauge or working pressure. The standard design procedure is not applicable for Absolute pressure. Manufacturing of vessel must be done properly. Small leakage could fail the pressure vessel. Welding must be done correctly, Mostly Vessels fails at welding section only. Handling of vessel should be proper so that it won’t damage by Impact Load. Material should be selected on Cost and availability. This articles was just introduction about vessel design, If you need detail information about formulas or any other help then you would refer machine design book by Bhandari. If you have any query then ask in Comments.. This is truly a helpful information on Pressure Vessel design. I wish to learn this skill and need support of an experienced person. Please give me details or links of other resources. I promise to reward appropriately whoever helps me reaching my goal.